Worth US$ 266,000, the Creativity Prize is by nomination only. Universities, university departments, research institutes, companies, and agencies can nominate individuals and teams of researchers for this Prize. The Creativity prize is awarded to an innovator or pioneer for water-related scientific work that can rightly be considered a breakthrough in any water-related field. The work might be a body of research, an invention, or a new patented technology. The Creativity Prize is open to all pioneering and innovative research in any water-related field. The work should provide an original solution which is useful to society and contribute to development and social upliftment, while being practical, environmentally friendly , and cost-effective. 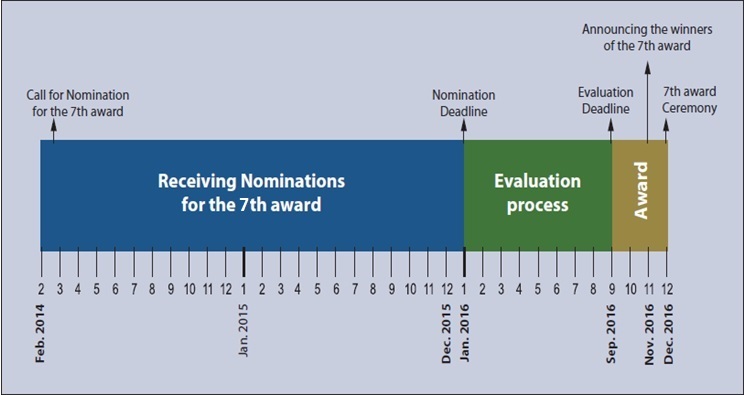 November 2016: The Prize Council announces the winners of the 7th Award and calls for nominations to the 8th award.